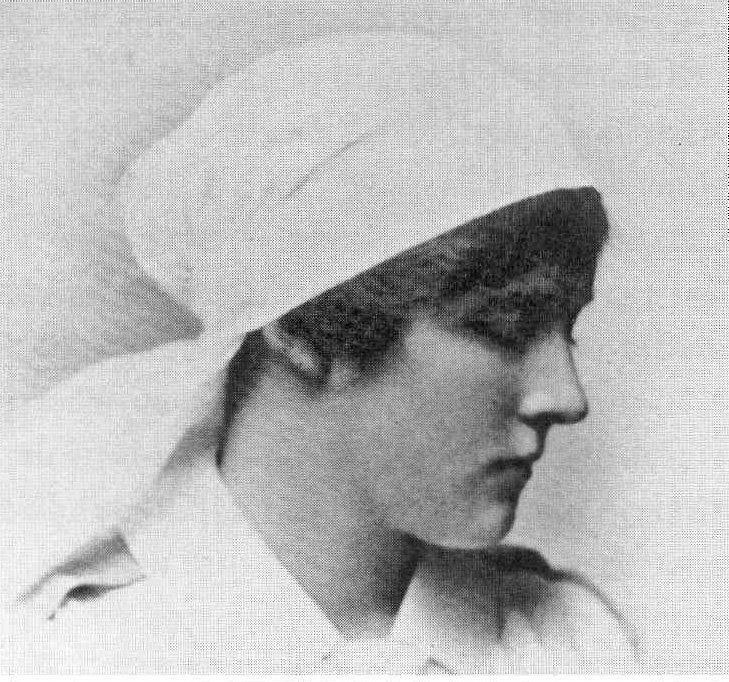 Gwen Beauchamp became a VAD nurse in Mere in 1916. She was a niece of the Commandant Minnie Beauchamp White and she stayed with her aunt at Midsomer Norton and cycled each day to work, but after a nasty accident on an icy road she had to be taken by the milkman to the hospital. Thereafter she was billeted in Mere, for a while with the Workhouse Master in the local workhouse (on Castle St.). She received no pay and so her father paid for her digs. She had only £20 a year uniform allowance and no pocket money at all. She worked at the Bath Military Hospital from 1918 to 1919 when she contracted Spanish ‘flu in the epidemic of that year. 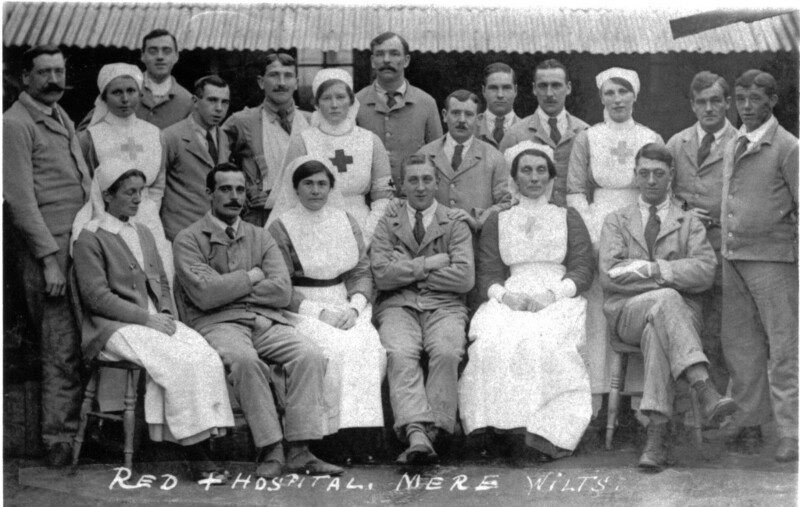 On her recovery, she took on the post of Commandant of the Red Cross Detachment 28 at Midsomer Norton. She also played tennis for Somerset! She married Keith Malcolm in 1924 and moved to Wimbledon where she lived for most of her life. “I had joined our local Voluntary Aid Division in August 1914 and my father’s sister, Minnie, who was Commandant of the V.A.D. hospital at Mere in Wiltshire, persuaded my parents to let me go to nurse there. So in October 1916 I became a full time VAD. I shall never forget my first day in the hospital. I was told by Staff Nurse to get a broom, dustpan and brush and sweep Kitchener Ward. Having seen a bottle under every bed I felt I couldn’t face it so I went and locked myself away in the loo in the school yard, next door to the broom cupboard. Shortly afterwards there was a banging on the door, ‘what are you doing, Nurse? Come out at once, get the broom and sweep the ward.’ Staff Nurse…escorted me back to the ward and watched me to see that I took each bottle out to the sluice before sweeping the floor. By that time the troops were enjoying it and making ribald remarks so that I wished the floor would open and swallow me up with all my brushes and blushes. One day Matron helped us move a badly wounded patient on to a waterbed; a difficult job as he had a large wound in his right thigh. Having eventually got him reasonably comfortable, Matron started to do his dressing assisted by Sister and a V.A.D, training to be a nurse, who was told to hold a large bowl of swabs in lotion. When Matron removed the old dressing and exposed the wound, the nurse passed out and in doing so poured all the swabs over the wretched patient and his bed. After that it was decided that she was not cut out for nursing. One day Sister asked me to scrub out a tall cupboard in the ward. I think I got myself wetter than the cupboard and the troops roared with laughter and even the really ill ones joined in to give me advice of one sort or another – some of it very unsuitable. Eventually Sister came in and joined in the laughter, and she showed me the drier way to go about it.